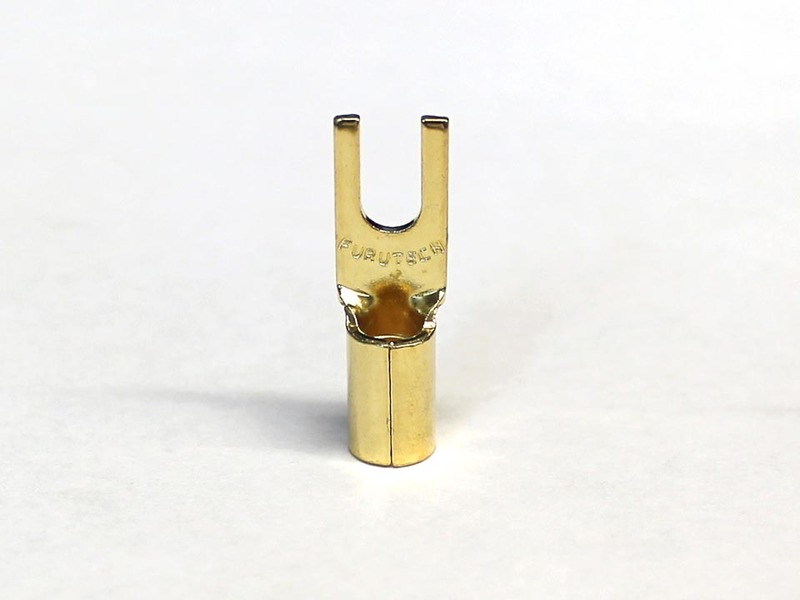 α (Alpha) pure Copper (cryo-ed) Gold plated conductor. Great for wall receptacle connections, AC / IEC power connections, and barrier strips. Wire diameters up to 4mm (0.160") (~8AWG). Fork opening 4mm (0.160"); 8mm ±0.1mm total width x 25mm ±0.1mm total length.